Are sociology and history distinct intellectual enterprises, and if they are, wherein does the difference lie? The traditional view which would distinguish an idiographic from a nomothetic discipline and the counter-argument that history and sociology are not separable activities point in different directions. The majority of sociologists and historians would probably consider that each does entail a different mode of analysing social reality, empirically if not logically, although there would be disagreement whether this difference lay in the subject-matter, the epistemological frame of reference, the role accorded to concepts and theory, the logic of explanation, the methods used to collect and analyse data or the criteria used to evaluate data. In any case there is little doubt that differences within each discipline are as significant as differences between the two disciplines, rendering extended discussion of the relationship in the abstract relatively unprofitable. The more sociological history becomes and the more historical sociology becomes, the better for both. Let the frontier between them be kept open for two-way traffic (E. H. Carr ). Although the logic and approach of science can and should be used in historical sociology, it is obvious that work in this field cannot validate hypotheses with the rigour normally associated with the concept of a science. That this is so should only highlight the challenge. No discipline can select its research problems solely from those which are easy to study with extant methods. 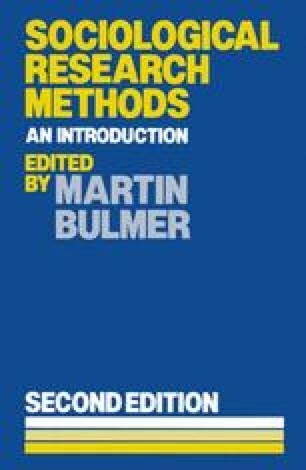 Those sociological problems which lend themselves to experimentation, to rigorous quantification, to explicit testing of mathematical models, are now relatively easy to study. Those in which it is difficult to isolate variables, in which one must deal with numerous factors and few cases, require a high level of theoretical and methodological ingenuity (S. M. Lipset  p. 52).